Eminem says last weekend’s MTV Movie Awards stunt was Sacha Baron Cohen’s idea. “I’m thrilled we pulled this off better than we rehearsed it,” Eminem says. “It had so many people going ‘nuts’ so to speak. Everyone was blowing me up about it. 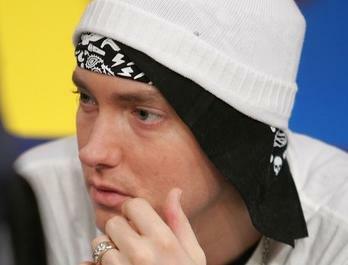 Eminem also denied reports that a thief broke into his hotel room during the Sunday awards ceremony and swiped $60,000 and a laptop.